I have been invited to be MichiganSnowPony's featured guest on the Prepper Broadcasting Network's Homestead Honey Hour! 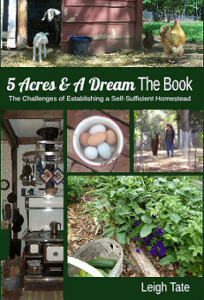 We're going to talk about homesteading, my book, and more. When? This Thursday, May 22nd at 9 pm Eastern, 8 pm Central, 7 pm Mountain, or 6 pm Pacific time. The link to the show is here, click on "Live Listen and Interactive Chatroom". Or, a direct link to the player for the show is here. If you tune in early, be sure to refresh the page at the top of the hour to get the live show. Just dial 1 when your call gets through. If you can't make it Thursday night, the show will be archived and available to listen to later. You'll find it on the bottom of this page. You also might like to check out MichiganSnowPony's YouTube channel. 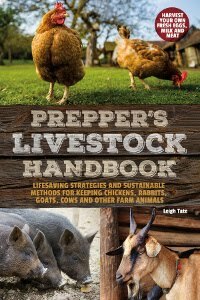 It's a great resource for preppers and homesteaders alike. Way to go, congratulations and good luck, I will listen to the archived show after it has gone live, I always seem to have problems getting the live shows this side of the pond. Its the time lines I have problems with. Make sure you link the archive in your next post. Cool, a call in number - can i heckle from down here? I just got an email to say your book is on its way. Knock em dead Leigh (you know what i mean). Lynda, thanks! I'll definitely give a link to the archived show. I'm with Dawn ! Looking forward to listening. Leigh, once again -- thank you for being an EXCELLENT guest! The show was so fun (as I expected) and I think people got a lot out of it and will continue to do so in the downloads. We'll be in touch! I didn't get a chance to listen to the interview, but I just finished your book and loved it! I have my husband reading it now. We are empty nesters also and just bought an acre and have a home being built! We are looking forward to chickens and other simple/sustainable living opportunities. Not sure how far we'll be able to take it because of our age and inexperience, but we're going to give it a go!